Iquitos or the “capital of the Peruvian Amazon” is the largest city in the world that can not be reached by land, the only way to travel here is by boat or by plane. The city is located in the Great Plains of the Amazon Basin, surrounded by the rivers Amazonas, Nanay and Itaya. This jungle city in its day was extremely rich due to the rubber boom of the Amazon. 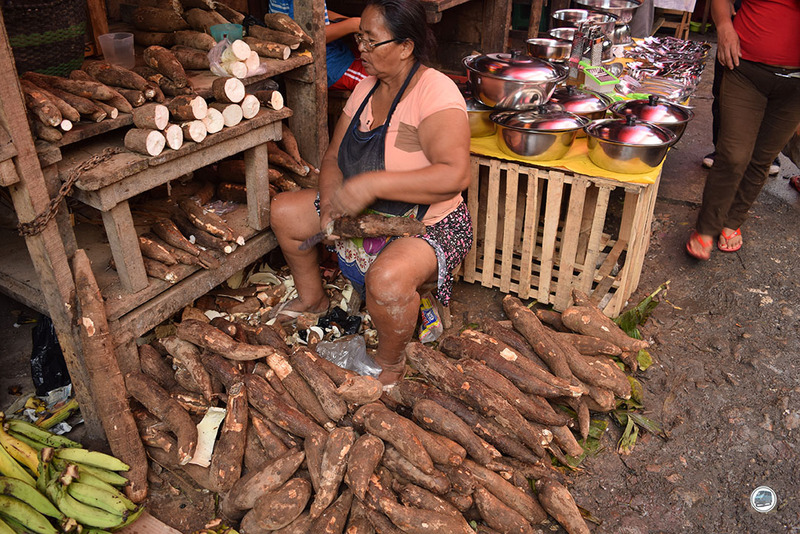 At the end of the 19th century, Iquitos became the rubber export centre of the Amazon Basin. This boom attracted thousands of European traders who were in search of money by any mean, looking for indigenous labourers to forced them to work using the “habilitation system”, which was base on given them products such as clothing, shotguns and machetes at high prices in exchange for undervalued amounts of rubber, thus generating a debt that became impossible to pay for the indigenous who ended up enslaved. First of all, let’s talk about food! 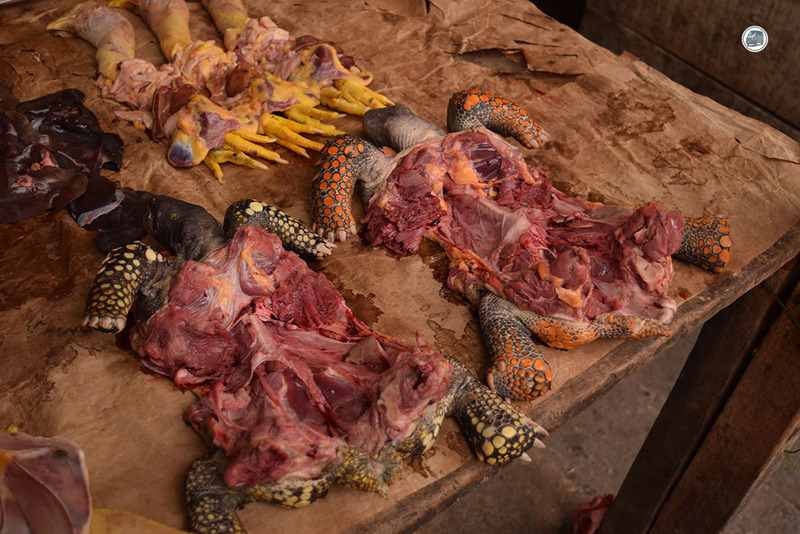 Having already travelled for two months in Peru, we have had the pleasure of tasting the coastal and mountain dishes, but we still had to try the jungle food, and Iquitos was a great place to solve this. We recommend trying Tacacho with Cecina. 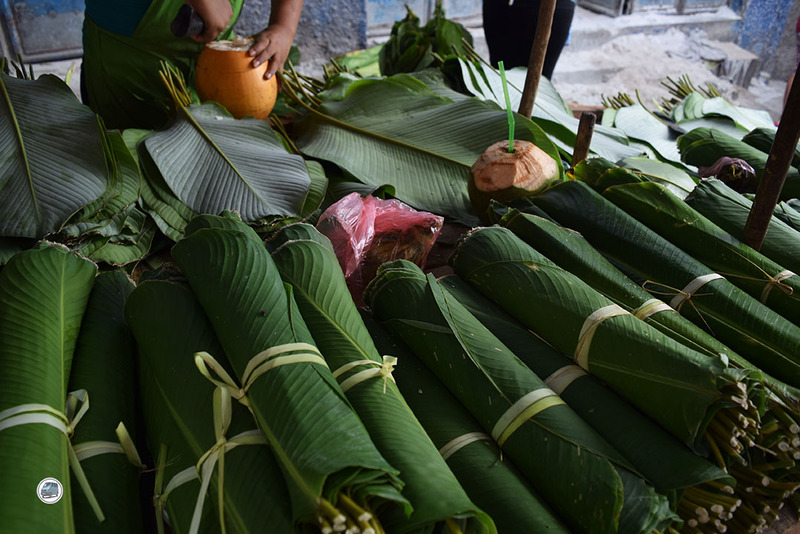 The tacacho is a cooked green banana that has been crushed and then rolled into a ball. It is usually served with cecina, which is pork dehydrated with salt. Undoubtedly, the Amazon Library is one of those places to visit once in life. 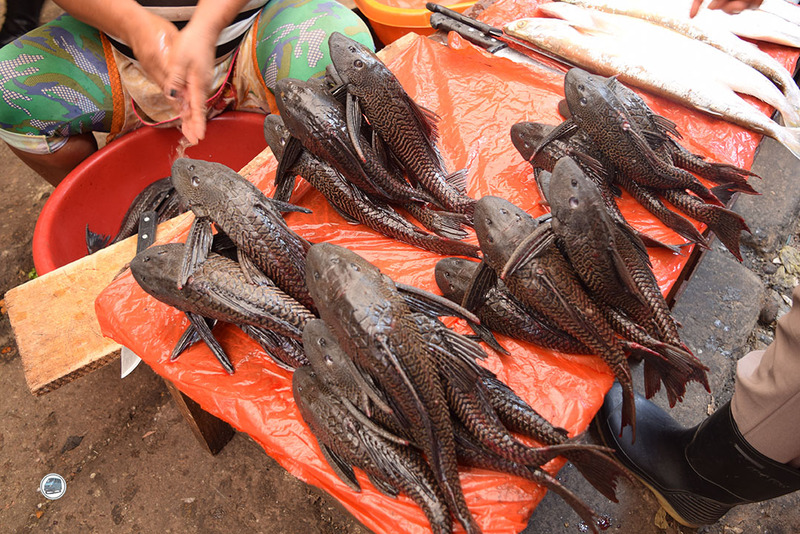 It is an encounter with the past, identity and culture of the Peruvian jungle. 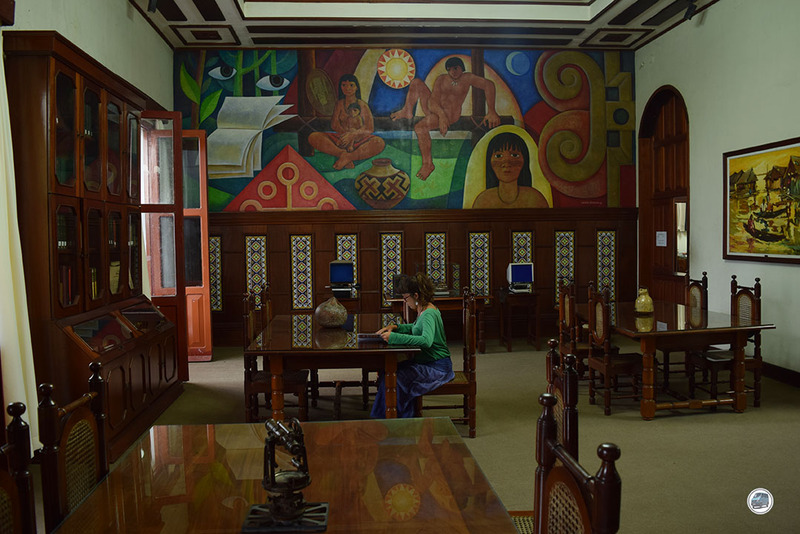 It is considered the second most important library in Latin America on Amazonian subjects, after the Library of Manaus in Brazil, with 27,000 books and 3000 historical photographs. 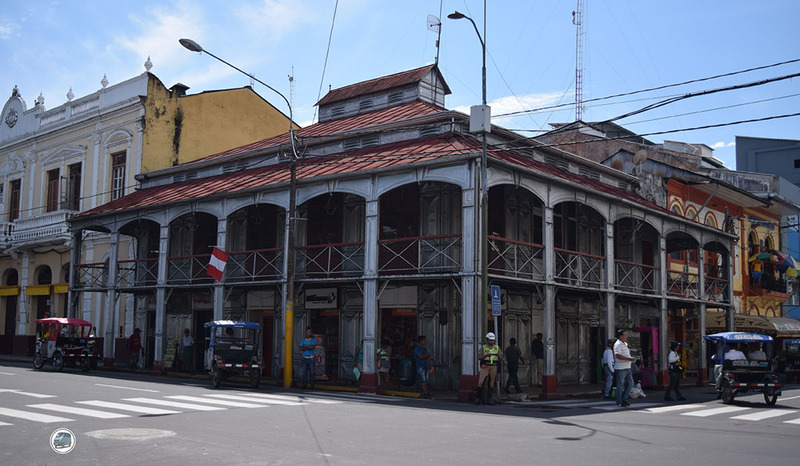 Right in the centre of the square of Iquitos is located the Iron House that was built in the rubber fever. It was designed by Gustavo Eiffel as a prefabricated house and was brought piece by piece from Paris to Iquitos. Its fame comes from what its presence mean in the architecture of the Peruvian Amazon, as it is a very rare construction here. Enjoy a spectacular sunset sitting on a bank of the Malecon in front of the Amazon and Itaya rivers. 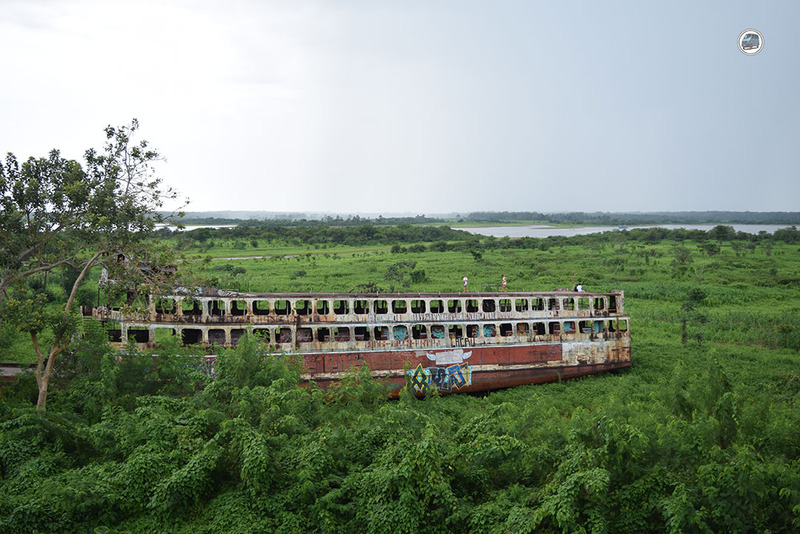 On the same Malecón is the Amazon Library, the Amazon Museum and the Historic Boat Ayapua that is dedicated to the period of the rubber era. 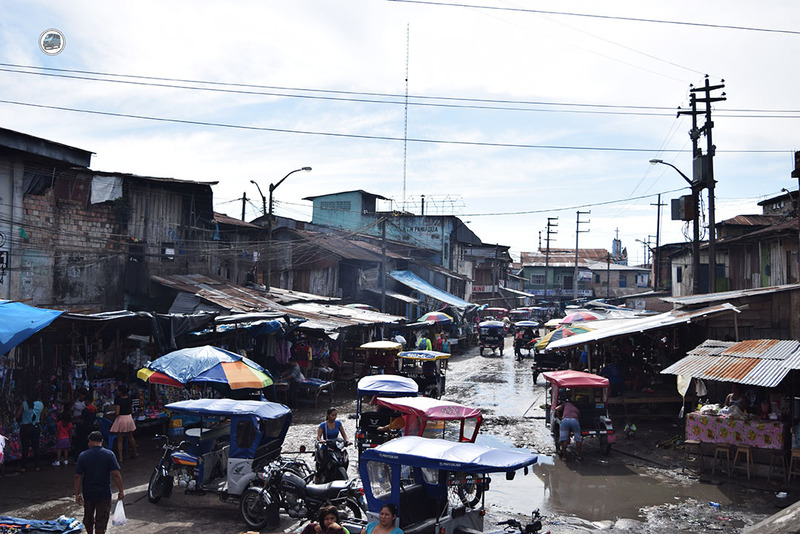 Iquitos is a city where the modern world and the colonial past collide. 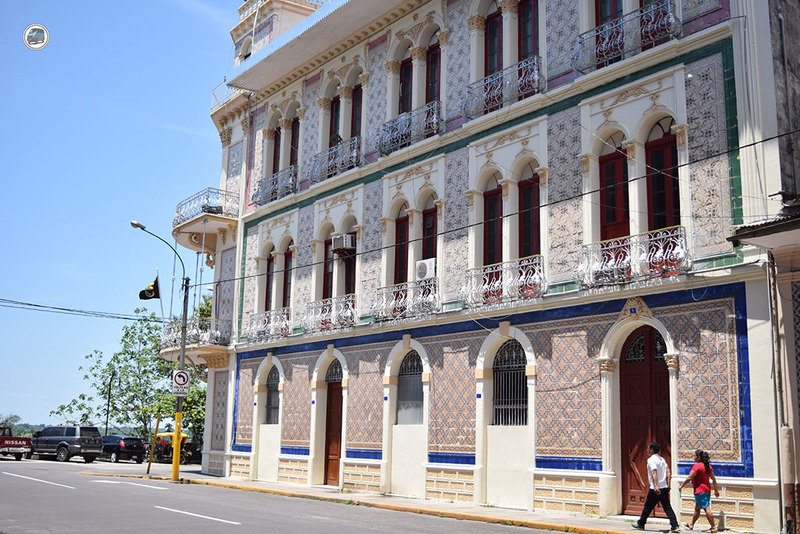 The streets are filled with motorbike taxis, there are rows of buildings with elegant arches in a state of perpetual deterioration, and from time to time you will find a stately building from centuries past covered with a colourful series of painted tiles, such as the old Hotel Palace that now belongs to the Peruvian army. The Mother Church (La Iglesia Matriz) is the main one in Iquitos and the Plaza de Armas also worth a visit. It is a quiet place to enjoy some shade and buy a piece of coconut in the nearby stalls. Belén is a town made up of palafitos and houseboats on the edge of the Itaya River. When the river is high (November – May) you can travel it with a canoe for just a few Peruvian soles. 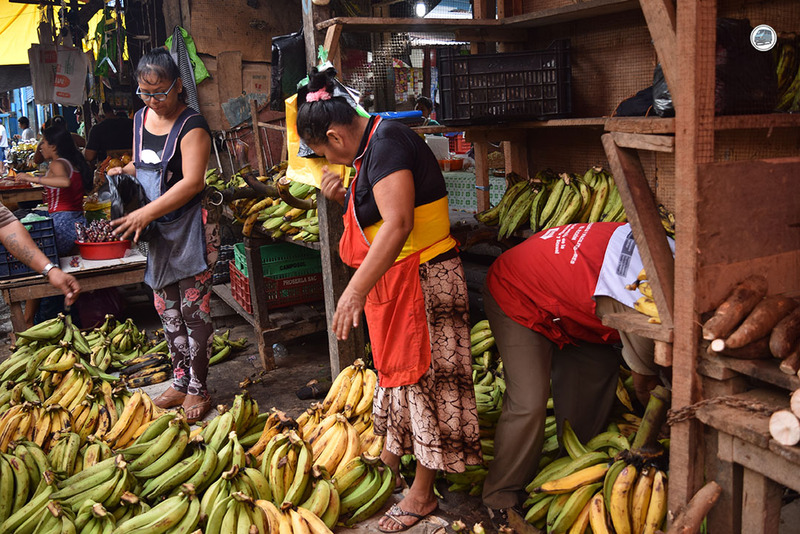 The Belen market is a must see in Iquitos, it’s worth walking among the unusual stalls and getting to its lowest corridors, perhaps the more authentic part. You have to live and feel it. 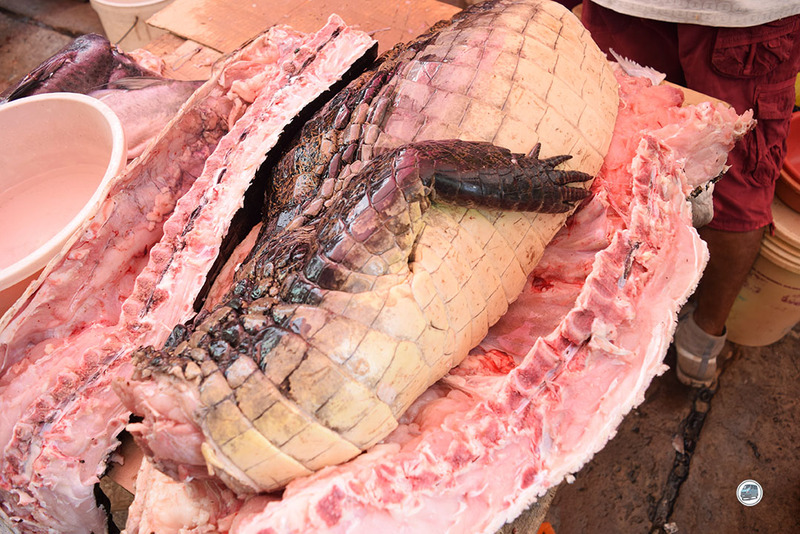 You can find anything in the different alleys that form it, in some meat and fish are sold, there you can find turtle meat, various snakes, caiman … in others “papacho” is the most sold; a great pure cigar made manually by tobacco and paper shopkeepers. 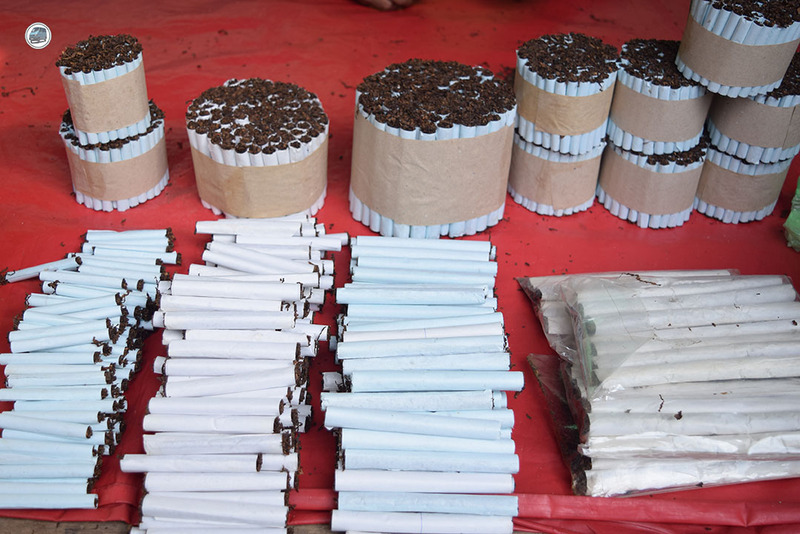 It is said you must buy a few if you are going to go into the jungle as its smoke keep away the mosquitoes. 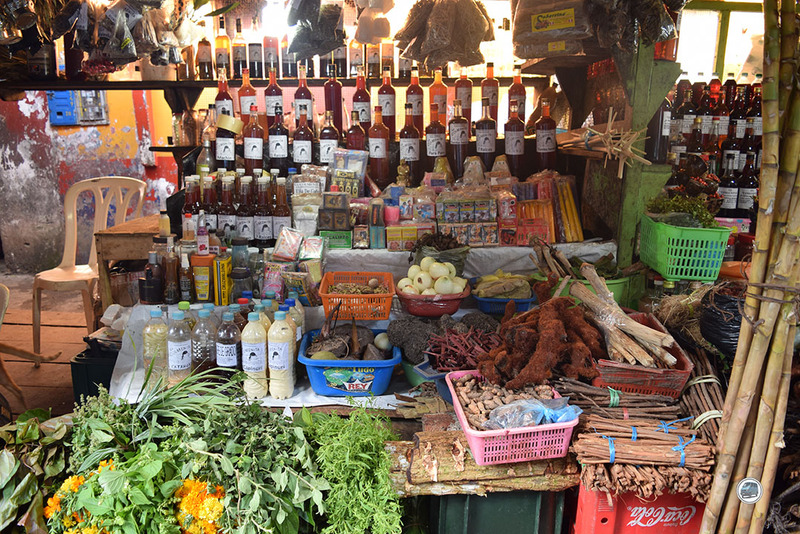 But perhaps the most surprising are the different types of herbs and natural potions capable of holding the loved one, curing diseases or bringing you to another state of consciousness. How to get to Iquitos? Arriving to Iquitos is only possible by air or by sailing the Ucayali River from Pucallpa or the Huallaga River from Yurimaguas. From Lima the flights are around 100 dollars with Peruvian Airlines while from Pucallpa those can be obtained for 50 dollars. 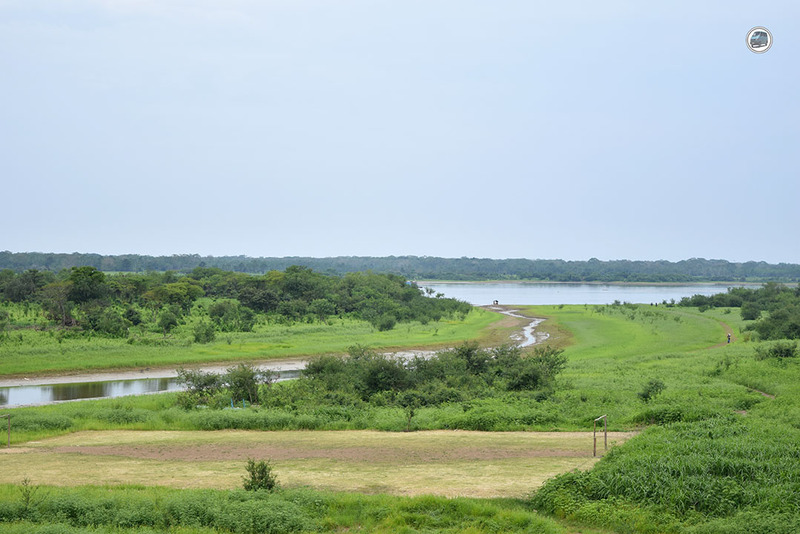 We decided to drive to Pucallpa from the Peruvian coast, bordering the Cañete River until arriving at the spectacular landscape in Nor Yauyos Cochas reserve, to later cross at an altitude of 4700 meters towards Huancayo. 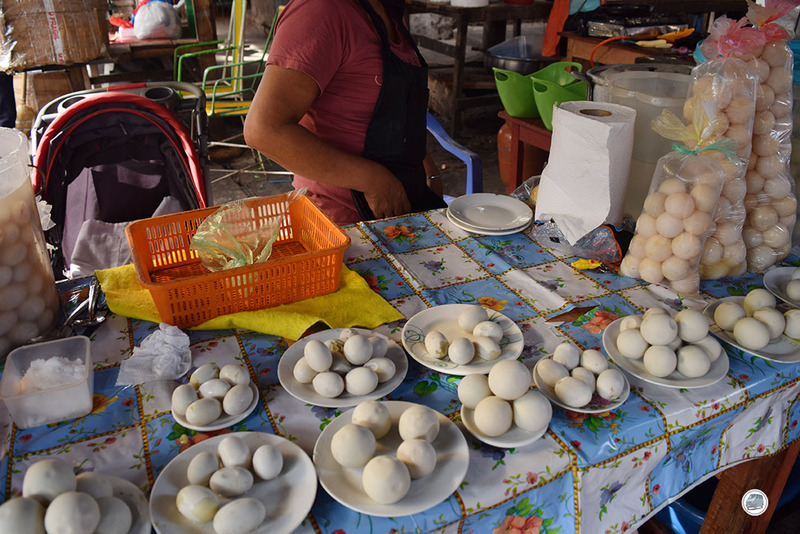 From here we head to the high jungle, crossing Tingo Maria, where you can spend the night in the high jungle and do adventure sports with Mono Adventures, and arriving in Pucallpa days later. From Pucallpa we wanted to embark the Furiosa to Iquitos and from here do the same to Yurimaguas, but at the high price of the passage for the van (1000 Peruvian soles) was added that being summer the river has little flow and the boat takes 3 days more than usual, so we decided to go by plane. Furisosa (our camper van) was parked in the cozy Chacra del Chato. The boat trip has to be a spectacular experience; you can rent a cabin for about 300 soles or travel in hammock with dozens of people. Don´t expect any luxury. The price for traveling in Hamaca is 100 soles and as happen if you travel in the cabin, meals are included. You only have to carry your hammock, antimosquito, not much luggage and earplugs if you want ot sleep amont 100 people. To buy your boat ticket you have to go the river shore where the boats are anchored and negotiate the price. It is a unique experience, highly recommended if you have the time! The jungle is home to a myriad of creatures, and some of them are dangerous. It is best to be prepared for a trip you will never forget. Here we leave a list of things to carry in your luggage. The jungle is home to aggressive mosquitoes, protect yourself using mosquito repellent both day and night. These three items are necessary for a trip to the jungle. Protect yourself from the sun if you are going to take a boat ride on the river or go do some outdoor activities. Being at night in the jungle is an unforgettable experience, you can listen to the noise that the animals make. You better carry a flashlight if you want to do it at night. Also once outside of Iquitos the electricity is limited. In the evening it is advisable to dress with long clothe to avoid insect bites if you enter the jungle, like that you will make it a bit harder for the mosquitos the to bite you. Do not forget to wear light coloured garments as dark colours attract mosquitoes. High boot to walk in the jungle are a must, there are hundreds of skanes. An airtight plastic bag will be useful to carry your tickets, passport or phone when you are travelling in a canoe. Wear a raincoat, you never know when the sky will unload tons of water in the jungle. It is advisable to vaccinate against yellow fever and many people say malaria pills are recommended. 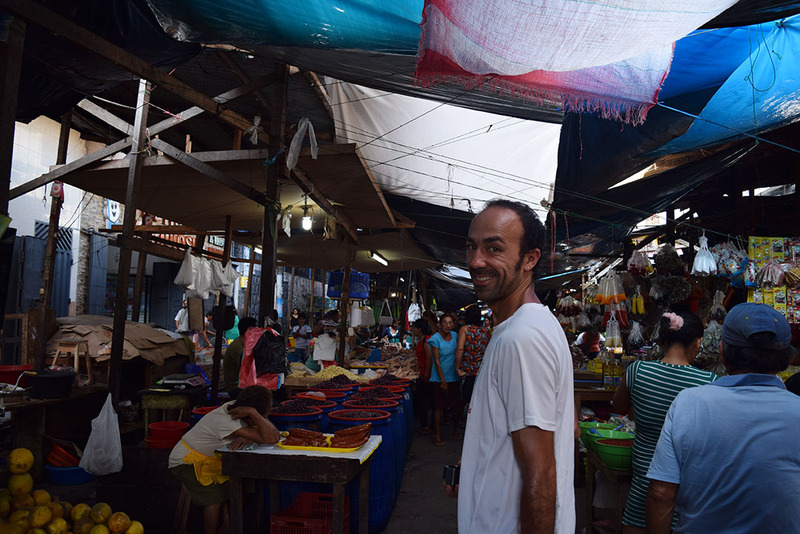 We have been 3 days in Iquitos and 3 days in the jungle and despite having the pills against malaria we decided not to take them because of their strong side effects and because we prefer to avoid mosquito bites with repellent and long clothing. 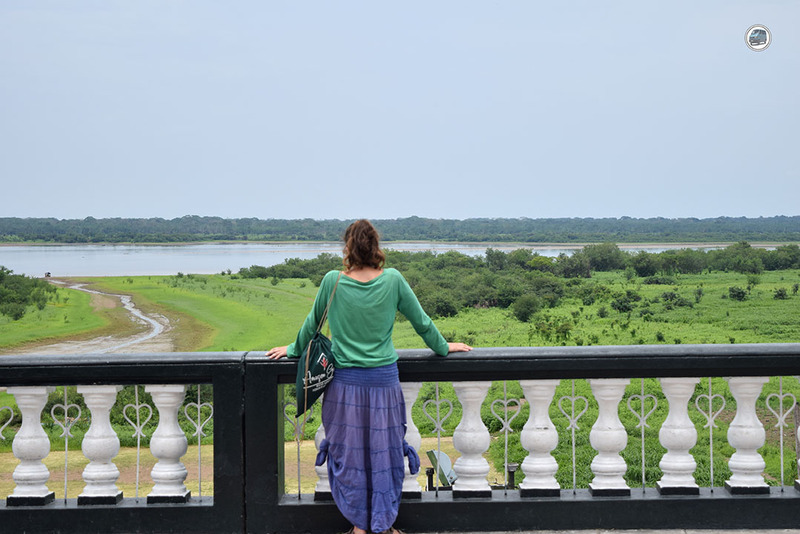 Has you been to Iquitos? What were your highlights?